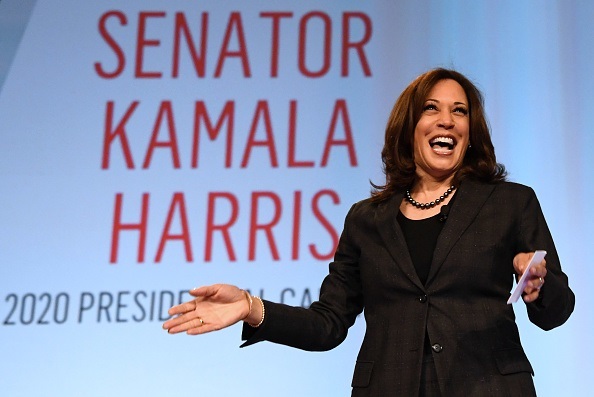 "That's what our kids call me," Harris told Kimmel. "We don't use the term in our family, 'stepmother.' I think that Disney messed that up for everybody. But they are technically my stepchildren. But they are my children. And they call me Momela. And we have a very modern family. My husband's ex-wife, the kids' mother, and her mother came to our house for Thanksgiving...And we have a huge, very modern family. It's really great, actually."